Below find documents and technical information for using Meljac products. 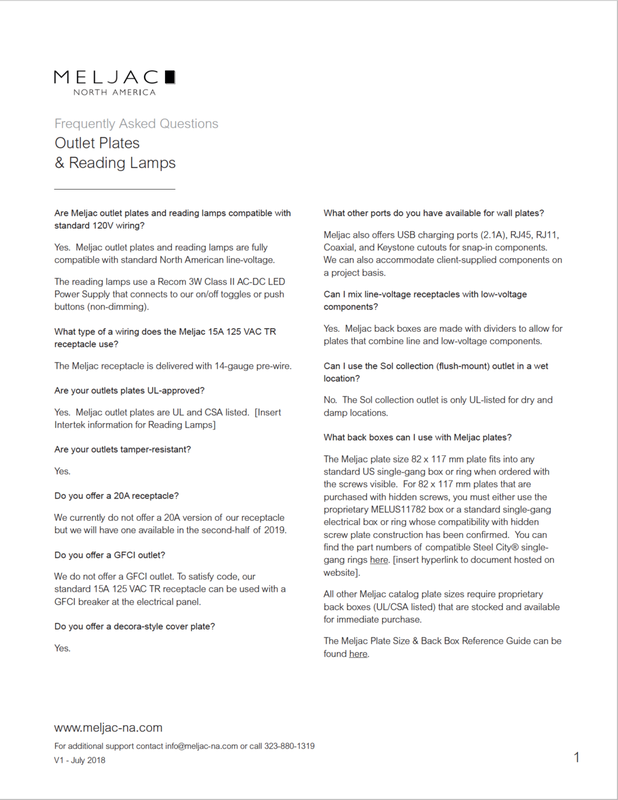 The resource library includes FAQs for our lighting controls, outlets and reading lamps, along with plate size and back box information, and a guide to specifying Meljac. For any further questions, please contact Meljac North America.